Bollywood Dance is not just a style of dance- it is a multilayered experience where music, dance, drama, story telling and performance come together to create a magical world where anything is possible!! It is a playful, expressive and energetic dance style that is a great reminder to not take things too seriously and to enjoy the pure joy of dance and being in the body. 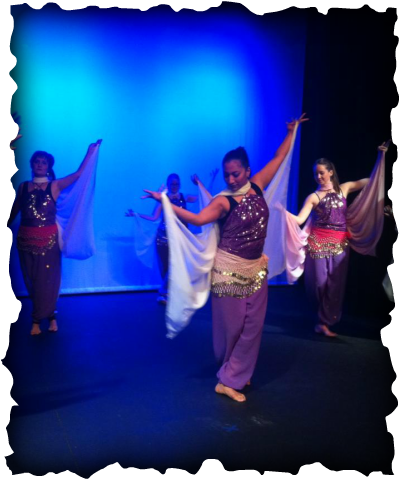 From primary school students, to corporates and residential aged care facilities, I offer a diverse range of Bollywood dance programs and incursions. ​When was the last time you experienced the joy of dance? Get out of your head and let your body do the talking with our unique and integrated Bollywood dance class that combines meditation/ mindfulness, yoga, qi gong, dance technique and physical theatre to provide a holistic workout for the mind, body, heart and soul . With a holistic approach of mind-body-emotion-spirit connection, these unique classes are much more than just a fun way to stay fit. The classes are designed to encourage even the most reluctant mover to connect with their inner dancer. ★ Let your inner superstar shine! To book in for a class, please register your interest or receive further updates please complete the online registration form. Each term we learn a new dance which is often a medley or two or more songs. Students also have the opportunity to perform at our end of term gatherings and events in collaboration with other artists and dance schools. Additional information about the songs, English translations as well as regular video updates of class choreography are provided to assist in the learning process and is included in the cost of the classes. Places strictly limited to 12. Please complete the online registration form to book your place. ​Please bring the exact amount to class if you are making a cash payment. Cancellation of term bookings with less than 24 hours notice- 50% refund. No refunds on cancellations after the term has commenced. Payments are not transferable to the next term although someone else can attend the class in your place. Bollywood is the term used to describe the Indian Film industry which in the 70's, overtook Hollywood as the largest film industry in the world. Over the years, Bollywood dance has evolved to bring together the best of the East and West incorporating elements of classical Indian dances, traditional folk dances and Western dance styles including jazz, hip hop, contemporary, afro jazz, salsa, bellydance and even crump! Every movement and gesture has a meaning. The whole body is used to express - right from the toes to the very tips of the fingers and everything in between! Bollywood dance is incomplete without the performance experience! Over the course of each term, we learn a medley of dances (usually about a minute each of 2-3 songs) with the intention of sharing the dance with friends and family at the end of the term. Are you looking for someone to choreograph a dance at your next Bollywood themed event? Do you feel too uncomfortable to dance in a social situation? One on one or private group lessons are available including choreography and training for wedding dances, dance competitions, school performances etc. Bollywood Birthdays, Parties & Events!! Would you like to do something different, fun and absolutely joyful for your birthday or event? Set the tone for your event with a Bollywood dance performance and/or workshop and share a dose of Bollywood magic with friends and family!! Special Bollywood wedding dance choreography for the bride and groom! !